1. I am back to meeting 100 people a day. 2. I am driving the neighborhoods to learn where all the communities are. 3. I am watching my competition. 4. I am talking to local shop owners and letting them know where I will be farming and getting them excited about real estate. 5. 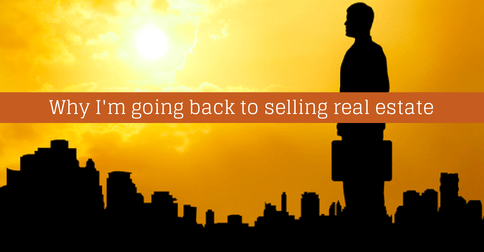 I am remembering to remind everyone that I am happy to help people buy and sell real estate everywhere in the world. Here is my question for you: Should I start my own company or work for an established brand? I would love to know how you started. Leave comments below, and let’s grow together.